I had taken a road trip around Ohio and felt no compunction to return until they opened the Rock and Roll Hall of Fame in Cleveland. Years went by and finally, I took the plunge. I confess I didn’t find much to excite me at the Rock and Roll Hall of Fame. Fortunately, in Akron was the Inventors’ Hall of Fame. President Jefferson had insisted each patent application be accompanied by a model, but once the government discontinued that requirement, they sold the models. Many were on display here as well as exhibits about some curious inventions. Maybe it was just the great breakfast and conversation at Fred’s Diner that put me in a good mood, but I thoroughly enjoyed the Inventors’ Hall of Fame. As I’m always game for interesting structures, I stopped at Stan Hywet, a 65-room Tudor Revival style mansion built from 1912 to 1915. It was designed by Charles Schneider for Frank and Gertrude Seiberling of Goodyear Tire money. Gertrude was an artist and the couple had built the house late in life. (I thought the house was incredibly well considered and planned.) Still in Akron, I visited the zoo, a good stop though the gorillas seemed pensive. The local newspaper, The Plain Dealer, contained little news but I liked its name. I drove out to Kent State University to see the memorial for the four students shot dead in May 1970 after the Ohio National Guard gave the order to fire. 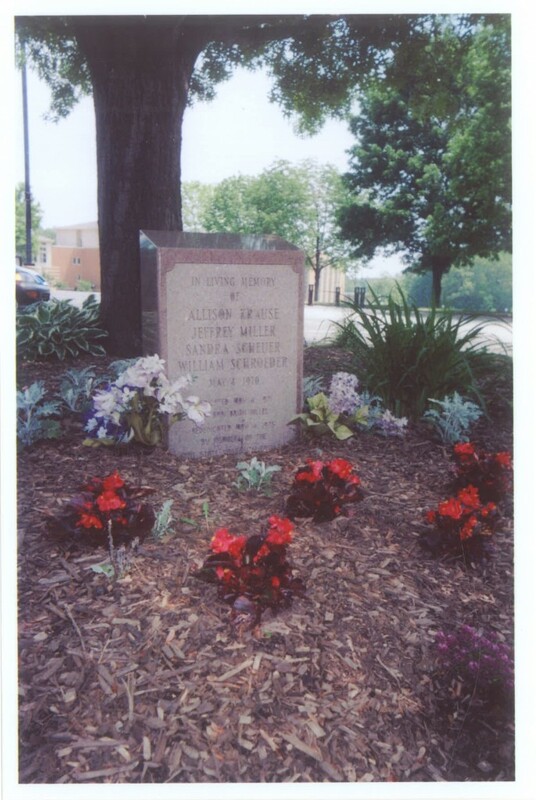 In May 2006, the memorial stone was well hidden aside of a parking lot. (The University’s security officers didn’t seem too pleased I was asking for its whereabouts.) The University’s art museum was open making the drive a bit more worthwhile. Back in Cleveland, I went to the University Circle where there was an exhibit on the millionaires of Euclid Avenue, a botanical garden and the Natural History Museum. If you don’t find more than hype at the Rock and Roll Hall of Fame, there are other substantive options. Tattoo—Journeys on My Mind by Tina Marie L. Lamb is available at Amazon.com, BarnesandNoble.com and iBooks. Get an ebook or paper book now.